Reward Programs Done Right ! 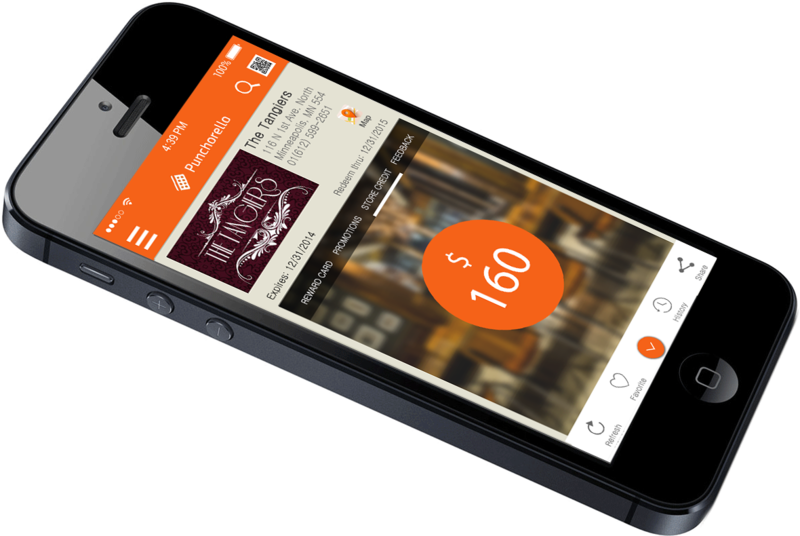 Create your own digital loyalty program that runs on smartphones and tablets. 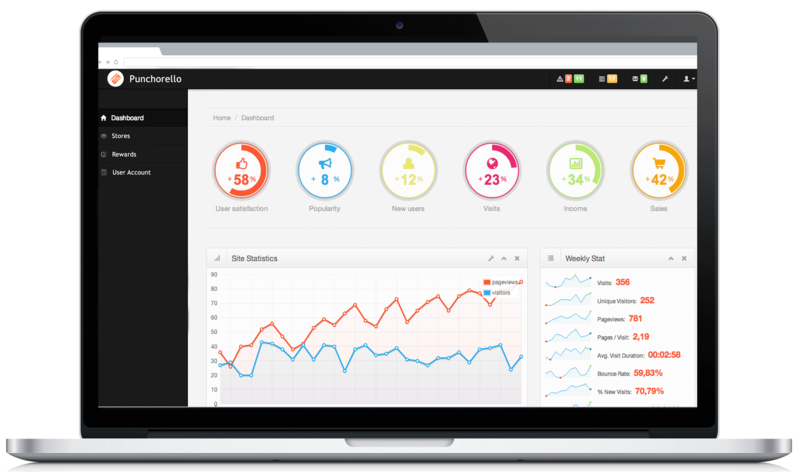 Punchorello is a state of the art platform that allows you to setup a Loyalty Program in no time. Punchorello’s easy to use wizard driven tools will help you create a fully customizable loyalty program tailor made to reflect your business needs. Whether you want to launch a punch-based, points driven or visit centric loyalty program, you can do so, complete with custom graphics and icons consistent with your own branding and image. Your Loyalty Program, Your Way! The ONLY loyalty platform that allows you to setup your reward program in ten minutes or less based on Punches, Points or Visits. The choice is yours, and best of all you can switch programs at any time. 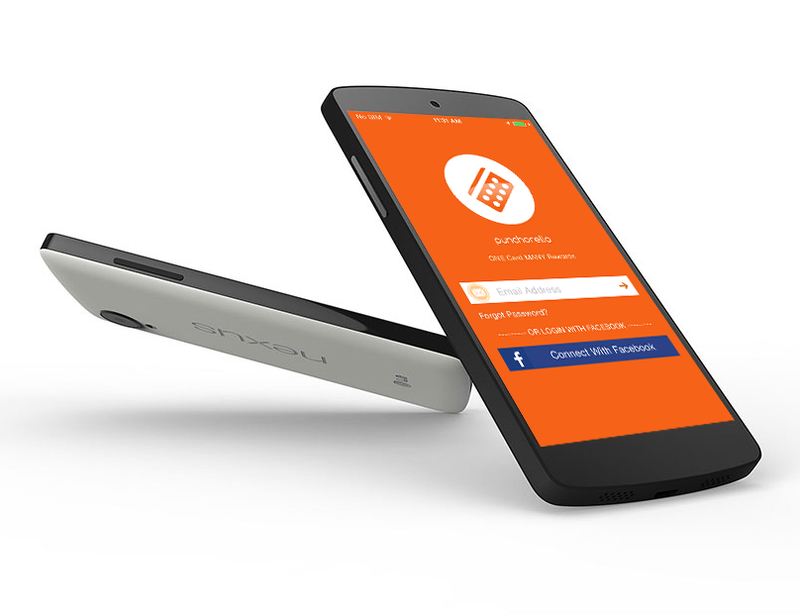 Punch – This is the modern equivalent of the traditional paper punch card. 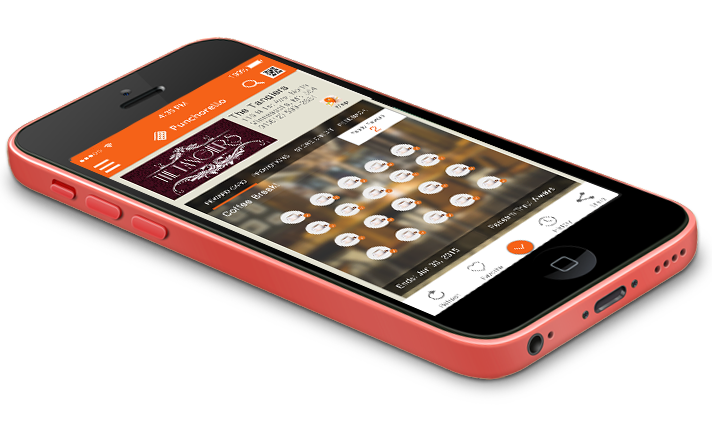 Get rid of punch cards & replace them with an intelligent virtual card. Your customers will thank you for it. Points – Reward customers for the money they spend - the more they spend, the bigger the reward. 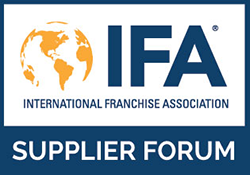 Visits – Make every visit count - get to know your customers! 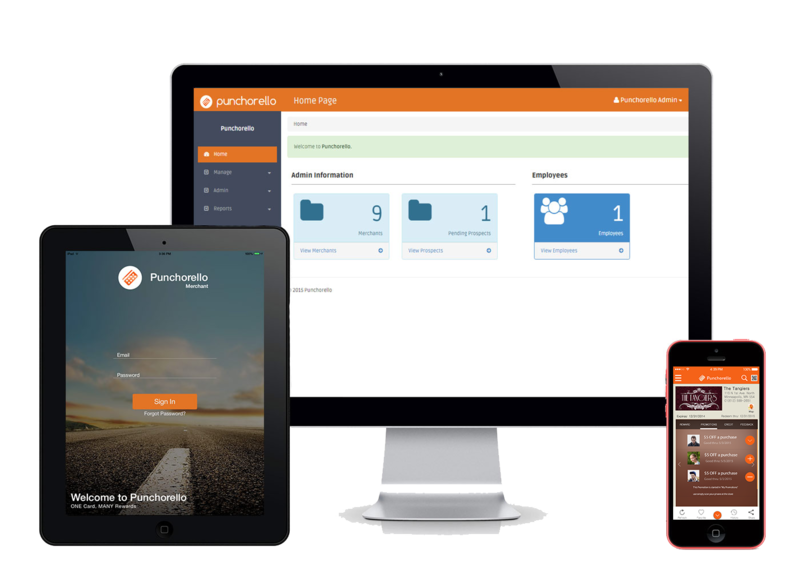 Use Punchorello as a complete Couponing Platform. Create “Promotions” and send them to your customers. Promotions arrive on the customer’s smartphones where they are accessed with ease. Promotions are also listed on the Punchorello Search Engine so new customers will easily find your business through your attractive offers displayed on a map. Promotions can conveniently be sent to specific customers. For example, send a special incentive to customers who haven’t visited you in the last month. Even if you’re currently using coupon mailers to bring in new customers, Punchorello will help you retain them. Finally get the insight that you need into how effective your reward programs are working for you. Track customer activity and determine which programs are working best. Leading the way to educated decision making, this benefit provides you with real data on your customer’s habits. Target promotions to specific customers based on this analytical data. Nothing helps you more than knowing what your customers think about your business. This brilliant feature is the modern equivalent of the “Customer Suggestions” box. 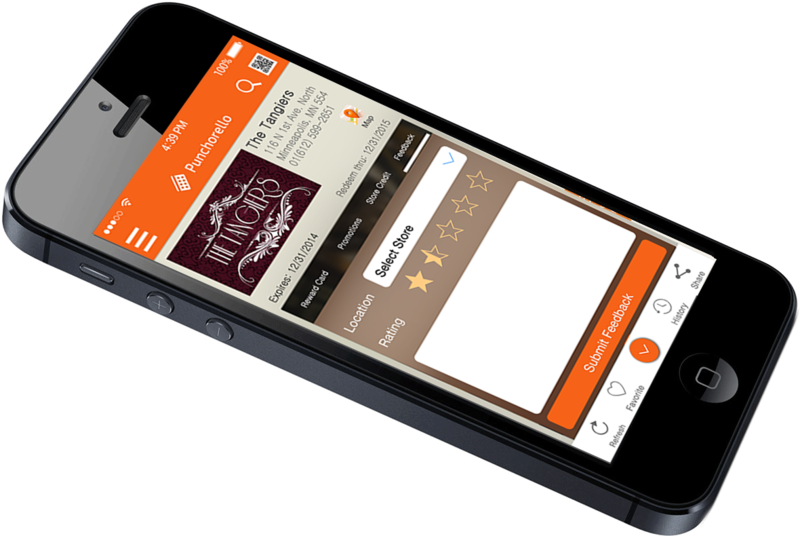 Customers can send you private feedback directly from the App on their smartphone. You can respond to the feedback and also choose to compensate the Customer with an offer. Customer Feedback will come directly to the manager. Use your customers' social networks to expand your customer base and reward your loyal customers for spreading the word! Social Media integration will be a natural byproduct of implementing your Reward Program. Using crowdsourced marketing will not only expand your reach, but also gain exposure for your business. 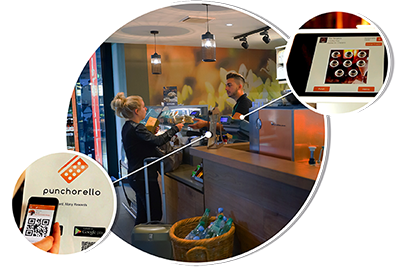 Punchorello is a loyalty program that fits today’s growing digital world. You will never have to print paper punch cards or plastic reward program cards again. No long term contracts, no setup fees, and prices start at $49/month. The feature-rich offerings that you get with Punchorello are unparalleled. Your dollar will go further with Punchorello! By offering more points for higher dollars spent, customers are given an incentive to spend more at each visit. Enticing them in this way will ensure larger revenue and further customer engagement in the future. Because rewards will be easily accessible, your customer will typically spend 20% more, on average.